After being shunned by her friends and family, a young girl is swept away to the Magic Academy where she learns to control her mysterious magical abilities. Join her on an epic quest to build up structures using magical blocks and logical reasoning. 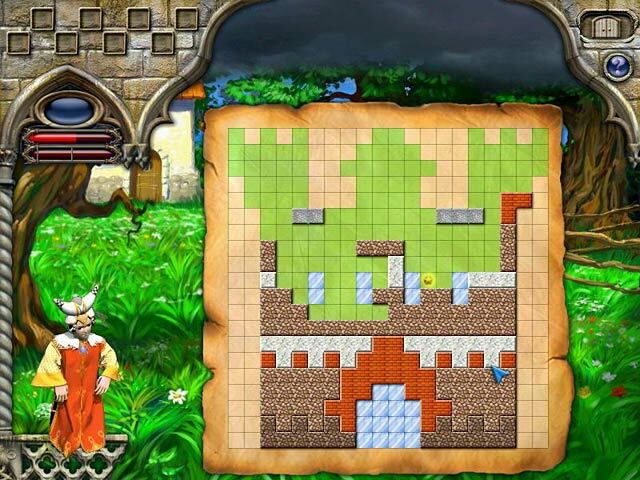 With more than 80 engrossing levels and four different story endings, this game is sure to delight players of all ages. 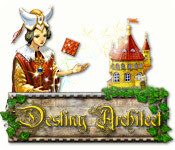 Destiny Architect is rated 4.0 out of 5 by 4. Rated 5 out of 5 by meme2222 from Shouldn't be overlooked because it's a great straegy game A lot of problems with this game is just bad English, so it's going to be hard to follow the story but you'll get the gist of it with reading in-between the lines. The gameplay is very unique and requires a lot of strategy so if you're a thinker you will love this game. You are an architect and must fill in the outlined grid with the falling building material. It moves slow enough so you get plenty of time to think it through. Knowing where to place them without error requires patience sometimes waiting for one certain piece which will only fit. I found that ALL the pieces falling will have a safe place to put them but it is up to you to move it into correct spot. So decide beforehand whether to put it to your right or left on the grid. Once a piece moves down its path you cannot move it back UP but can move it over as long as no building is in your way. You cannot block off a section that needs filling or you get a red x for every spot blocked off, or if you fail to create a ledge to stop a falling block needing to be filled. Too many red x's will cause you to fail the level. You will get many items in shop to help with successful building as you progress. It costs building materials which you earn in gameplay. You can always replay levels until you succeed. Sometimes bonus icons will appear on game board but be careful in placing current falling block over it because it might cause you to error therefore not always wise to claim it. As you progress further you can earn building materials this way also. 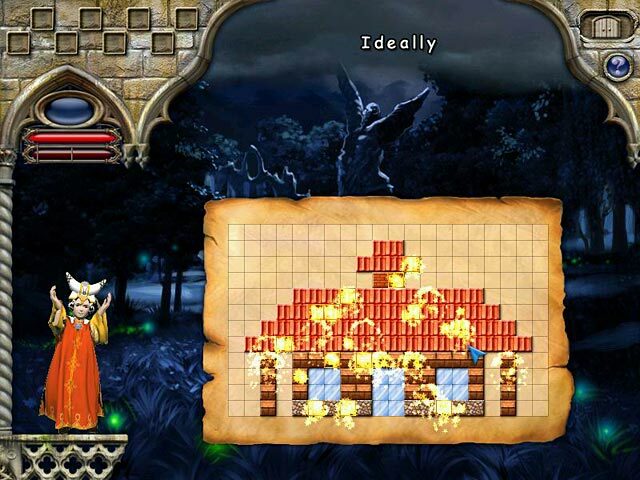 There is a part of gameplay where you must destroy a building so this time you want to block off your pieces. It took me awhile to figure this out to pass level you only have to destroy the green blocks otherwise you will run out of time which is pretty generous in this game so it is not stressful. Anyways, if you are looking for a good relaxing strategy don't pass this one up because the trial time is not enough time to appreciate the gameplay. It starts out easy but gets much more strategic without being too brainy because of its simple rules. Just pay attention to the professor's lessons on how the shop items work because there is no review. You will just have to use them to learn if you forget and since they cost building materials you don't want to waste them. I bought this game because I like a good thinking game alternative to mahjong and solitaire. 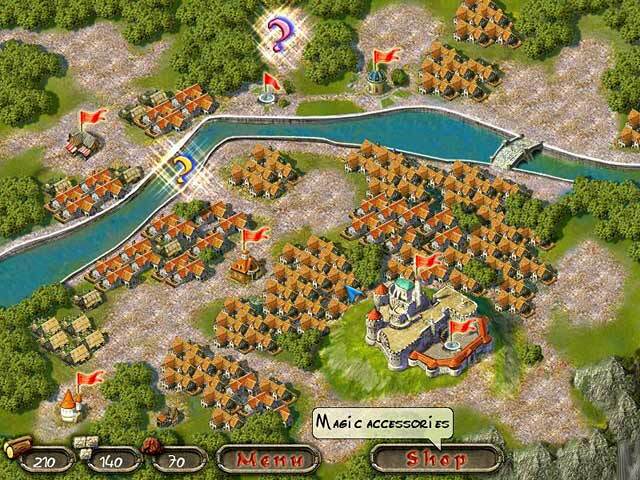 Other games I found good strategy are Empire of the Gods and Triazzle Island. Rated 5 out of 5 by Nutty_Buddy from Not A Mindless Tetris Game I fell in love with this game many years ago when it was new and love it even more now that it is impossible to find inlay games. This is a thinking person's game as opposed to Tetris, which is more of a keep your speed up game. As for the person who said you are forced to mess up, all you have to do is exit and restart the level to get perfect on the level. The game has a small star that will appear on the "playing field" that, if you place a game piece on said star, you are shown where to place several upcoming pieces. If you like games that make you think, then give this one a try! Rated 4 out of 5 by Gretty from I love this game This game has a great story line & music. Fun to play. Rated 2 out of 5 by Waterfaery from Tetris With No Controls I'm a big fan of Tetris-style games, but this one is just...yikes. Just like with basic Tetris, you're given blocks in various shapes to put into a grid formation to build pillars, buildings and the like. Here's the catch - you can't rotate the pieces! You can only move them left or right and then drop them onto the shape you're trying to build. Unfortunately, this leaves the player forced to constantly mess up the formation no matter how well they may have been doing on any particular level. On some levels you can still progress, others you may as well just keep starting it over in the hopes that it cooperates and gives you all the right pieces in the right order. The storyline was interesting and made for a fun game premise, but was very hard to read due to a poor English translation. Hopefully, the other languages have an easier time with that. All in all, the game is just way too frustrating to be any fun...odd for a game from Meridian93. This developer usually does considerably better than this. Perhaps if an update is issued that has a few more controls it would be worth it, but as it is I can't recommend it even to Tetris fans who want an incredibly hard challenge.